Some people base decisions on facts and data, while some people base them on other foundations or beliefs. Let’s immediately forget about this latter group. For the former group, the quantity, frequency and overall reliability of the collected data is very important. However, capturing data seems harder in real life than it sounds. In addition to resolving technical challenges, such as designing reliable devices that provide usable data, the persistent action of collecting data for further analysis is sometimes a burden that people just don’t feel like carrying all the time. In this breakout session, we will focus on people who get excited about the novelty of using a Fitbit device or a Runkeeper app to track their workout (the “Discovery Stage”). These are the people who diligently log the food they ingest into an iPhone app for a few weeks before they get a feeling that they are wasting their time. At some point, they feel that the benefit they get from logging data is much lower than the cost of the effort required to do it. We hypothesize that the novelty effect behind these self-quantification efforts fades away in a few weeks or months and falls in a “Data Desert”. 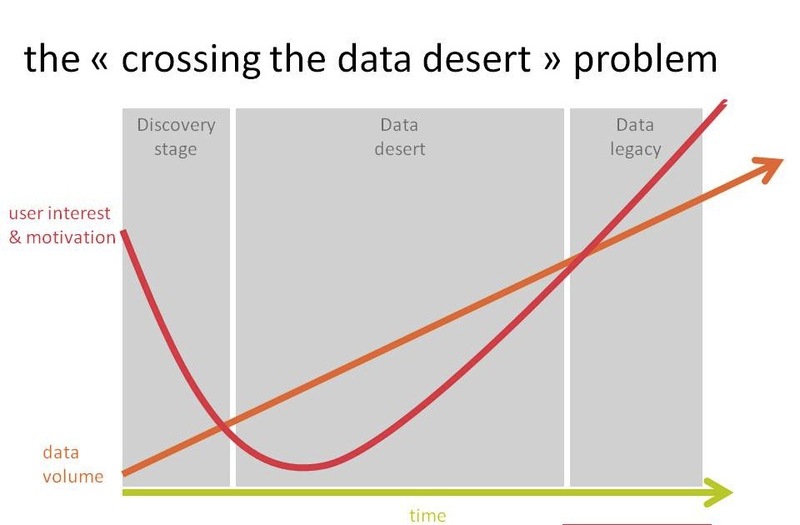 Whoever survives the crossing of the Data Desert is eventually rewarded with enough data and knowledge to pragmatically leverage them for effective decision making (“Data Legacy”). But abandonment is more likely than persistence during this difficult phase. Oftentimes, these people don’t have a vital problem to solve by collecting data. They are curious to uncover a vague concern, but no drastic and immediate consequence will ensue from stopping data collection. 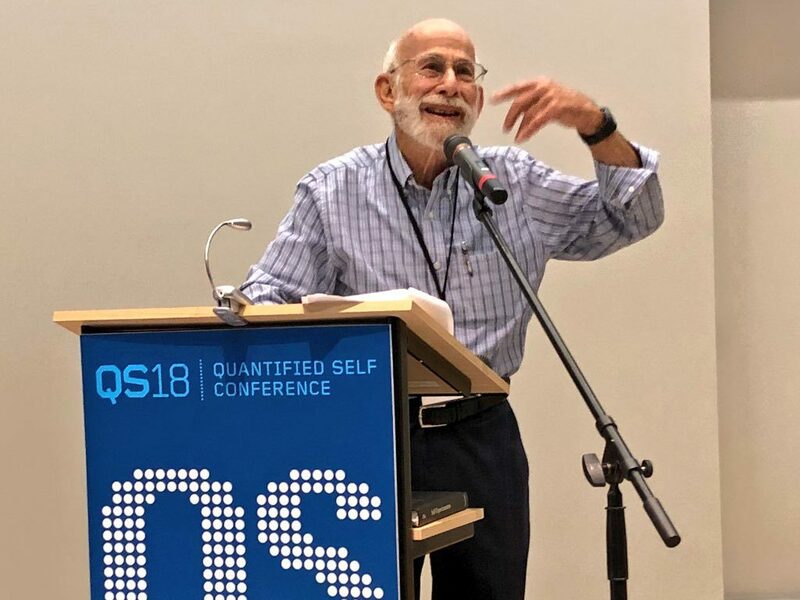 Our hypothesis relies on personal observations of quantified-selfers (including ourselves) and also on the phenomena observed in subscription-based services (such as joining a gym) as well as on Geoffrey Moore’s “chasm” principle. The proposed goal for this breakout session is to explore strategies, designs, technologies and incentives to help people persist in their data collection after the initial enthusiasm fades away.